.SERPENT Media Archive - Komokioidea sp. Operational Taxonomic Unit (OTU): Komokioidea sp. 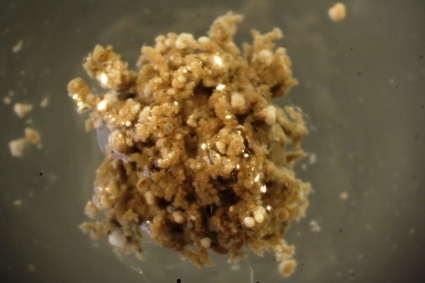 A Komokioidea are typical of deep sea sediments. This group of foraminiferans has been described relatively recently. Smaller foraminifera are incorporated in the tests of this species.